Water is a valuable resource yet millions of litres are wasted daily by us all. Water conservation is therefore everyone’s responsibility and is as important during heavy rainfall seasons as much as in the dry season. 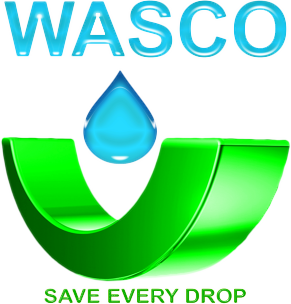 WASCO encourages customers to wise-up to water and make simple changes in their daily lives to save this valuable resource. Read your water meter before and after a two-hour period when no water is being used. If the meter does not read exactly the same, there is a leak. Store drinking water in the refrigerator. Don’t let the tap run while you are waiting for cool water to flow. Do not use running water to thaw meat or other frozen foods. Defrost food overnight in the refrigerator or use the defrost setting on your microwave. Use your washing machine and dishwasher only when full. Water your garden in the evening when it is cool. Don’t allow sprinklers to water your street, driveway or sidewalk. Position them so – Install irrigation devices that are the most water efficient for each use. Micro and drip irrigation and soaker hoses are examples of water efficient irrigation methods. Use a shut-off nozzle on your hose which can be adjusted down to a fine spray so that water flows only as needed. Use a pail or basin instead of running water when you are cleaning. Use a broom or rake instead of water to clean your driveway or walkways. Do not let water run while you shave or brush your teeth. Brush your teeth first while waiting for water to get hot, then wash or shave after filling the basin. Rinse fruits and vegetables in a shallow sink of water instead of under running water. Wash your car using a bucket rather than a hose pipe.